If you want to know how to buy a house, you've come to the right place! When you start thinking about buying your first house, it’s easy to let your emotions run the show. Before you know it, you’re stalking homes for sale on your home-browsing app, rearranging your schedule so you can do drive-by viewings, and researching creative financing options that would allow you to buy a house with next to nothing down. It’s all too easy to land a house you can’t afford, and that mistake can affect your ability to build wealth in the long run. But understanding the steps of the home-buying process empowers you to make smart decisions about your home purchase. Buying a house takes time. And no house—not even that perfectly cute bungalow on the corner with the fenced-in backyard—is worth jumping into before you’re ready. You know what’s more important than the house you buy? How you buy that house. Use this step-by-step guide to buy a house the smart way. The decisions you make in the home-buying process can make a difference between a home that's a blessing to your family for years to come and a home that becomes such a financial burden you feel like you can’t breathe. Buying a house doesn’t have to be a stressful, draining experience. It can actually be a lot of fun—especially if you’re making smart decisions that focus on the long term. Evaluate your finances. Make sure you have a consistent income and a good chunk of cash for a substantial down payment. (We’ll talk more about this later.) Buying a house before you’re ready can lead to financial disaster. Consider the housing market. If you want to make a smart investment on your home purchase, you need to buy a house that'll go up in value. Talk to your real estate agent about home values in your area and their potential. Think about your life stage. It doesn’t make sense to buy a house if you may move next year. The process of buying and selling a house is expensive, so make sure you feel confident you’ll be in that area for the next five to seven years. This is one of the reasons we recommend waiting at least a year after getting married to buy a house. 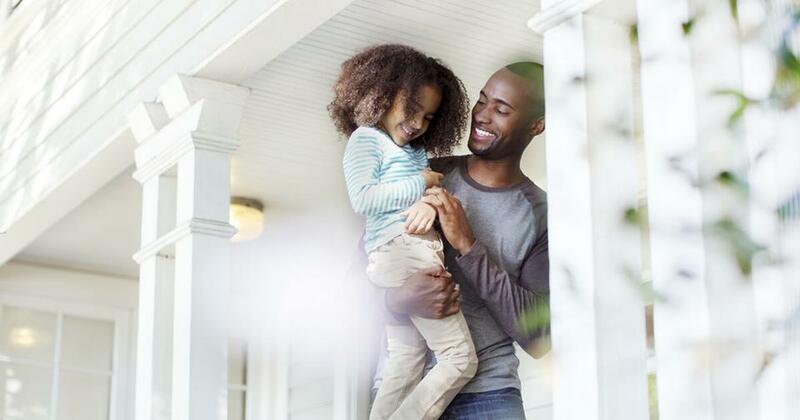 If you think it’s the right time to step into home ownership, here’s how to get started! It’s tempting to skip the money question and jump straight into looking at homes in your area. After all, home shopping is way more fun than thinking through your finances! But a weak financial foundation is a recipe for regret when it comes to your home purchase. Don’t shortchange your future by having a short-term perspective. You'll build years of memories in your home. You’ll share countless meals in the kitchen and spend hours enjoying warm summer days in the backyard. Do you want those moments overshadowed by financial stress? Buying a home is probably the biggest purchase you’ll ever make. Are you sure you’re ready? Answering these two questions will help you know! Before you begin the home-buying process, we recommend paying off debt and saving up three to six months of expenses in an emergency fund. Being financially ready to buy a house is important. Why? When you no longer have a landlord, the responsibility of paying for repairs falls on you. So what happens if your water heater bursts after just three months in your new home? When you don’t have room in your budget and no savings to fall back on, you may be eating ramen for the rest of the month to get that fixed. But if you have a full emergency fund and no debt taking up real estate in your monthly budget, an unexpected repair won't rock your whole life. Just like any goal, buying a home the smart way takes planning and preparation. The most time-consuming task is saving cash for the down payment, closing costs and other moving expenses. Down payment: We recommend putting down at least 10% on your new home, but 20% is even better because you avoid private mortgage insurance (PMI). That's an extra cost added to your monthly mortgage payment, and it doesn’t go toward paying off your mortgage balance. Closing costs and prepaids: Alex Clark, a real estate Endorsed Local Provider whose team closes an average of 100 homes a year in Portland, Oregon, advises his clients to save around 3% of a home’s purchase price for closing costs and prepaids. But that percentage can vary depending on how expensive fees and taxes are in your area. Closing costs are the fees charged by title companies and lenders involved in your real estate transaction. Prepaids cover any prorated property taxes and insurance items. Moving and other expenses: Moving expenses can vary from hundreds to thousands of dollars depending on how much you’re moving and how far away your new home is from your current place. To help with budgeting, you can call moving companies in your area for quotes ahead of time. If you plan to make updates to your home—like repainting, installing blinds, or buying new furniture—you’ll need cash for that too! Ready to get your savings rolling? You’ve got this! Saving for a down payment isn’t rocket science. Set a plan and focus on your milestones and you’ll have that down payment before you know it. You’ve got what it takes! The best way to buy a home is with cash. It may sound crazy, but people like you do it every day! If that’s not feasible for you, you’ll need a home mortgage loan. How do you get preapproved? In a quick conversation with you about your income, assets and down payment, a lender can prequalify you to buy a house. Getting preapproved takes a little more work. A lender will need to verify your financial information and submit your loan for preliminary underwriting. But it pays off when you begin your home search because a preapproval letter shows that you’re a serious buyer. How do you know which mortgage option is right for you? Bad financing turns your biggest asset into a liability. That’s why getting the right mortgage is so important! Setting your boundaries on the front end makes it easier to find a home you love that’s in your budget. 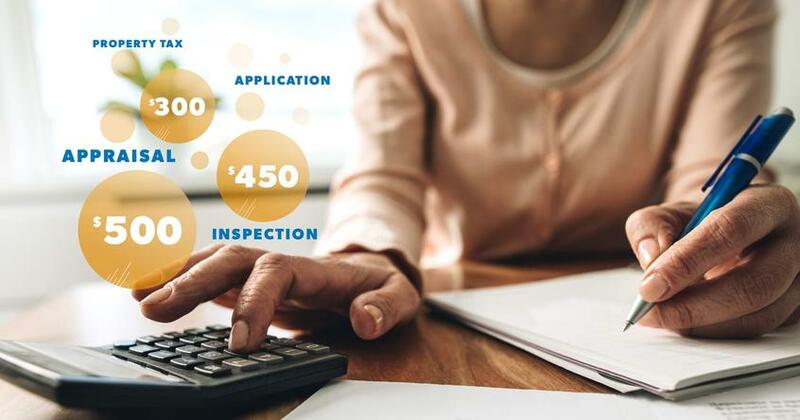 A fixed-rate conventional loan: With this option, your interest rate is secure for the life of the loan, leaving you protected from rising rates. Any other mortgage option is a terrible idea. A 15-year term: Your mortgage payment will be higher with a 15-year term, but you’ll knock out your mortgage in half the time of a 30-year term and save thousands in interest. 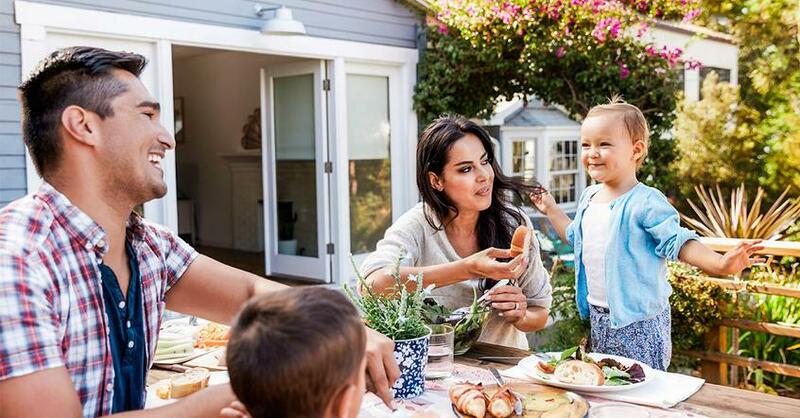 A monthly payment no more than 25% of your monthly take-home pay: This leaves plenty of room in your budget to achieve other goals like saving for retirement or putting money aside for your kid’s college fund. Once you know how much you can afford to spend on your new home, stick to it. And if you’re buying a home with your spouse, make sure you’re both on the same page about your budget. If you need more help crunching the numbers, check out our mortgage calculator. You can play around with the numbers to see how different home prices affect your overall mortgage payment. Though your search for homes may start online, it shouldn’t end there. You can do a lot of research on your own, but you need the help of an expert when it comes to actually finding and securing your perfect home. A buyer’s agent can help you navigate through the home-buying process. In some cases, they may even be able to help you find a house before it hits the market, giving you a competitive edge. And when it comes to making an offer, your agent will negotiate on your behalf so you don’t pay a penny more than you have to. A real estate agent will advocate for your best interest and is a crucial part of your home-buying team. But they don’t work for free. So how much should you be prepared to pay? That’s right! In most cases, the seller pays your real estate agent’s fees, so using a buyer’s agent is free to you. Why would you not want to have a true pro in your corner as you make your biggest investment? You may know a lot of real estate agents in your area. But keep in mind that not all agents bring the same knowledge and experience to the table. Don’t work with an amateur just because they know your cousin’s sister-in-law’s best friend from 10 years ago. If you’re trying to spend time with a friend or family member, catch up over coffee. Don’t work with them to make your biggest purchase. You want an expert who can show you how to buy a home! A true pro won’t shy away from tough questions. They’ll be a mover and a shaker, ready to fight for your best interests as you’re searching for the right house and negotiating the terms of the contract. As a home buyer, working with a rock star agent is one of the biggest advantages you can give yourself! After you’ve been preapproved for a mortgage, you’re ready for the fun part: finding your perfect home! Once you reach this step, your finances should be rock solid so you know exactly what you can afford. And with a real estate agent to guide you through the process, you have a winning combo for buying a home with confidence! Before you dive into the home search, create a list of must-have home features. If you’re buying a home with your spouse, make separate lists and compare. Once you have clarity on the features you both want, share them with your real estate agent and use those criteria as the foundation of your home search. Your agent will be able to help you set realistic expectations and target your search to areas you can afford. How can you know you’re making a good investment? Don’t compromise on location or layout. These are two things you can’t change about the home you buy. No amount of curb appeal can make up for a truly terrible floorplan. And buying a great house in a not-so-great neighborhood is a bad idea. If you don’t love the location or layout, chances are potential buyers years from now won’t either. Look past the surface. Don’t let a lime green bathroom keep you from an otherwise great home. Other buyers may not be able to look past those easy-to-fix details like décor and paint color, which could score you a deal. That lime green bathroom may mean more green in your pocket! Buy the least expensive home in the best neighborhood you can afford. That gives your home’s value room to grow in the future. Keep in mind that future buyers who are shopping in a $200,000 neighborhood won't be looking for a $300,000 home. Pay attention to home values in that area. Are they rising or declining? Are businesses booming or closing? You can tell a lot about home values in a neighborhood by what’s happening in the community. The average home buyer looks for about 10 weeks before finding the right house, according to the National Association of Realtors. Don’t sweat it if it takes you a while to find your perfect place! Once you’ve found the right home, it’s time to get serious! That means submitting an offer and signing a contract agreement with the sellers. What’s included in your offer? Your real estate agent will work with you to submit a solid offer. If you end up in a bidding war with other buyers, keep a cool head and put your best foot forward. Things like being preapproved with your lender and having a flexible closing date can help make your offer strong. Sometimes agreeing on terms is quick and painless, but it can also be one of the hardest parts of the process. If your negotiations get intense, remind yourself that both parties want the same thing. The sellers want to sell their home, and you want to buy it! Sometimes it pays to compromise on little details if that will move the process forward. A good real estate agent can give you advice about when to give in and when to hold firm. Once you get to this step, you’ll officially be under contract on your new home! That’s something to celebrate. Being under contract also means you’re done with the most time-consuming stages of the home-buying process. Cheers to that! But now that you’re under contract, what should you expect? Your main task now is to work through the contingencies in the contract. Contingencies are simply conditions that must be met in order for the home purchase to take place. They provide a safety net for you to back out of a sale without losing your deposit if something goes wrong. Even if you’re in a competitive market, don’t let your emotions lead the charge. You should never skip these contingencies because they offer important protection for your home purchase. As a buyer, you have the right to a professional home inspection before you purchase the house, and you would be crazy not to do it! This is one of the most important precautions you can take before purchasing a home because it keeps you from being blindsided by structural issues or expensive repairs. If the inspection reveals major problems with the home, you can ask the seller to fix the problem, reduce the price, or cancel the contract. You can also consider getting other professional evaluations like a termite inspection or radon test, depending on the advice of your real estate agent and the age and condition of the home you’re purchasing. If you’re getting a home loan, your lender will require an appraisal evaluating the value of the property. An appraisal protects you from paying more than the home’s true value. If the appraisal comes in lower than your offer price, your real estate agent can provide the best guidance for what to do next. The best way to pay for a home is with cash! Not only does it set you up for building wealth, it streamlines the real estate process. If you did get a mortgage, you’ll have a final step before you can close on your home: getting final approval. Your lender will dig through the details of your finances to finalize your mortgage. Whatever you do, don’t open a credit card, take on more debt, or change jobs once you’re under contract. That’s a stupid idea anyway! Plus any changes in your financial situation can jeopardize your loan process. Step 7: Close on Your House! You did it! All the planning, house hunting and waiting are over. The final step in the home-buying process is closing on your new place! Before you get the keys for your new home and officially call it your own, you have one more sprint ahead of you: paperwork. That’s right! Bring on the hand cramps! If there are any confusing terms or conditions as you work through the paperwork, don’t be shy about asking questions! This is one of the biggest purchases you’ll ever make, and you should know exactly what you’re signing up for. Once you sign all the paperwork, it’s time to breathe a sigh of relief. You’re officially a homeowner. Congratulations! The home-buying process may not be easy, but having a beautiful new home to call your own is worth it in the end. This is a lot of information. And guess what? There’s even more to learn! If you’re feeling overwhelmed, don’t worry. You don’t have to do all this on your own. With our ELPs, you can be confident you're working with a real estate agent who's an expert in your local market. Don’t make your biggest investment without the guidance of a professional. 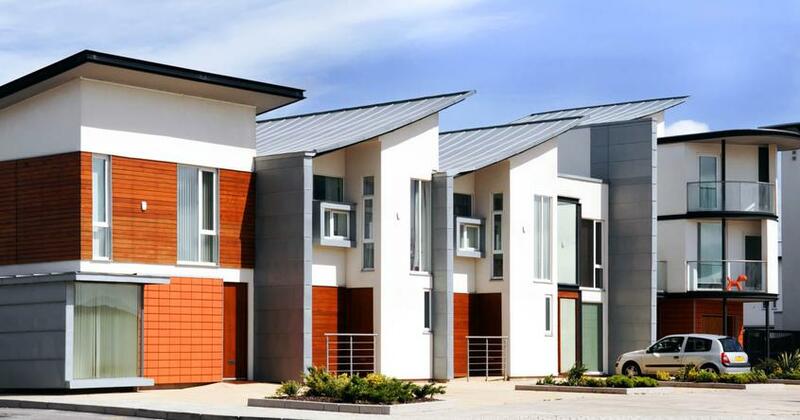 Buying a house can be stressful, but a high-octane real estate ELP will walk you through the home-buying process to help you make a smart investment that fits your needs and your budget. Find a real estate pro today!